Farmers Branch eye care professionals specialize in understanding how the human eye really works, as well as diseases and conditions that affect your vision—many of which do not always have obvious symptoms. Eye doctors know how age and risk factors affect vision over time for young and old, and they understand the benefits and features of corrective lenses, both as eyeglass lenses and contact lenses. 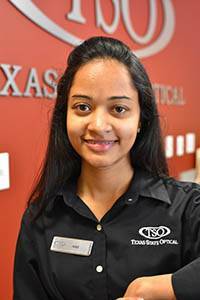 Our TSO Farmers Branch optometrist is proud to serve residents of Irving, North Dallas and Carrollton. 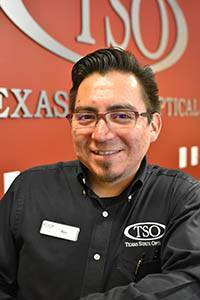 He takes the time to explain the results of your eye exam, describes your options and listens to your eye care needs. Because maintaining good eye health is an ongoing partnership, we encourage you to ask questions and share your health information, which could be vital to monitoring, diagnosing and treating potential vision problems. 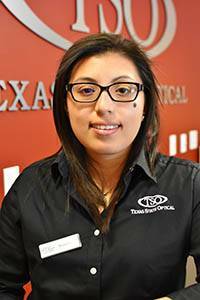 Our exceptional, TSO Farmers Branch eye care staff is our greatest asset. They are excited about what they do, and they care personally about getting the best results for our patients. Our receptionists will try to accommodate your busy schedule by finding appointments that suit your needs. We will help you understand your insurance coverage and if financial arrangements are necessary, we will be glad to help you develop a plan to make your vision care treatment possible.